We understand that our guests have a choice of tour operators to choose from when arranging their trip to Alaska. We are committed to providing you with high quality tours. We take care of all of the details so you don't have to. If touring in a large group isn't for you and the idea of driving yourself doesn't appeal, a small group tour might be just the answer. As part of a smaller group, you'll experience a totally new style of travel, a different kind of attitude. It’s like being on vacation with a group of friends, like-minded travelers that you can share your day-to-day travel experiences with. We'll go that extra mile to make sure you have the ultimate Alaskan experience. That's because our passionate and dedicated staff will quickly get to know your preferences and special interests, then spoil you with special detours off the beaten track to incorporate memorable little treats. Explore the “must see” areas of Alaska as well as some of the special, lesser-known areas. Embark on an extraordinary journey through some of the most spectacular scenery in the world. At the end of your journey you’ll leave Alaska with new friendships and treasured memories that will last a lifetime! An avid explorer, photographer and traveler, Albert’s enthusiasm for history, culture, the outdoors, and sharing it with others developed as he explored the rich landscapes of Alaska. Traveling throughout Alaska for over 25 years, his love for Alaska is infectious and his knowledge provides an educational experience for all of those whom travel with him. His interest in exploration and learning has taken him to the remote Arctic regions of Alaska and all of Alaska’s National Parks. He has also traveled to many National Parks throughout the United States and Canada. Albert is also a photographer and he has traveled the country and the world as a freelance photographer for many years. He specializes in landscapes, wildlife and event photography. His photos have been published in books, magazine and newspapers locally and around the world. Albert hopes his passion for capturing some of Alaska’s most amazing spots will move others to see the true beauty of Alaska. He enjoys giving clients a high quality, educational and unique travel experience. Albert is fluent in Spanish. Marlene calls Atlanta her home after being raised there. After spending 20 plus years in the ultra dynamic world of the beauty industry, Marlene started guiding tours for Planet Earth Adventures several years ago. She got the travel bug early in life but it was a trip to Utah that really fostered her love of travel, nature, adventure as well as experiencing new cultures. Marlene will give you endless advice about where to go and what to eat in Alaska. When she’s not vacationing on a cruise in the Caribbean or basking in the sun at the beach, she can be found walking and traveling with our chihuahua, “Matilda” around the beautiful state of Alaska. Marlene is fluent in Spanish and she is an avid walker, loves music, dancing, traveling, and soaking in the warm sun. Scott Slone, a native Alaskan, in fact his family has been in Alaska forever it seems, five generations and counting. He’s dedicated his professional and personal life to exploring and discovering the natural beauty that Alaska has to offer. As a filmmaker and photographer his travels have connected him with the people and rhythm of Alaska in ways few experience. Scott has always believed that the point of his work is to help people see more deeply into our landscape, and connect us more with our experiences and awaken the senses. His professional credits can be found on National Geographic, OWN, Terra X, History Channel, and Travel Channel to name a few. When he’s not behind the camera or guiding, you can find Scott exploring the Alaska backcountry, unmarked roads or tucked into the landscape somewhere with camera in hand. Matt Paveglio moved to Alaska in 2008 from Lansing, Michigan. 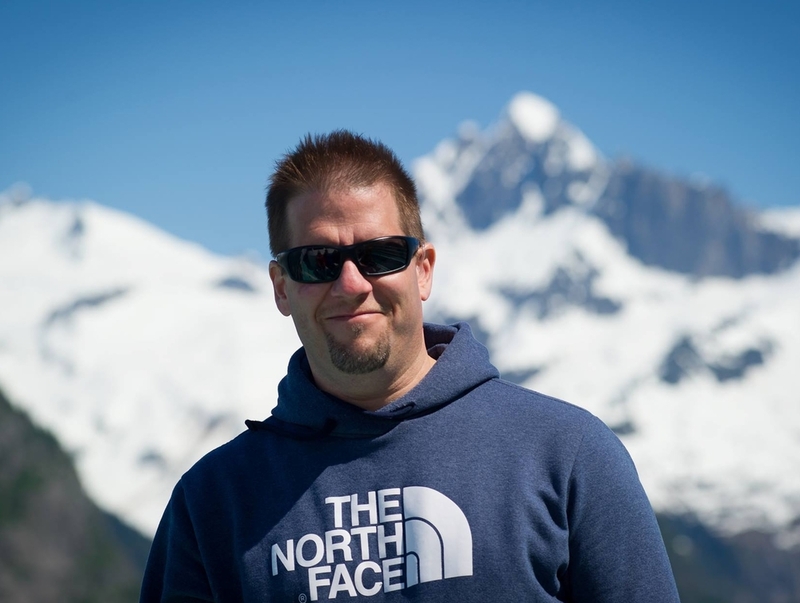 Matt initially came to the 49th state as a Travel nurse and settled into an Emergency room and Critical care position in Anchorage. After 9 years of playing outside in Alaska Matt went to the dogs in 2016. Matt was a primary handler that trained with Jim Lanier's Northern Whites Kennel. Five months of training and over 2,500 miles of mushing were initiation into Iditarod mushing in Alaska. Matt competed in the 2017 Northern Lights 150 dog race finishing in 4th place and furthering his insight into the world of mushing. Other outdoor interest include hiking, floating rivers, fishing, polar plunging and outhouse racing. Matt has plans to run the Iditarod Race. Follow Matt and his quest for the Last Great Race on Earth by clicking HERE where he will share tails of his journey to qualify for the Iditarod! Check Us Out . . . Wish you Were Here . . .
Watch this short video and see some of the highlights of what you can expect to see and do in some of our tours. Includes Summer/Winter Tours. A special thanks to Scott Slone of Alaska HDTV for the production of this video. Planet Earth Adventures, LLC is authorized & permitted to operate in: All of Alaska State Parks, Kenai Fjords, Denali & Katmai National Parks and the Chugach National Forest.